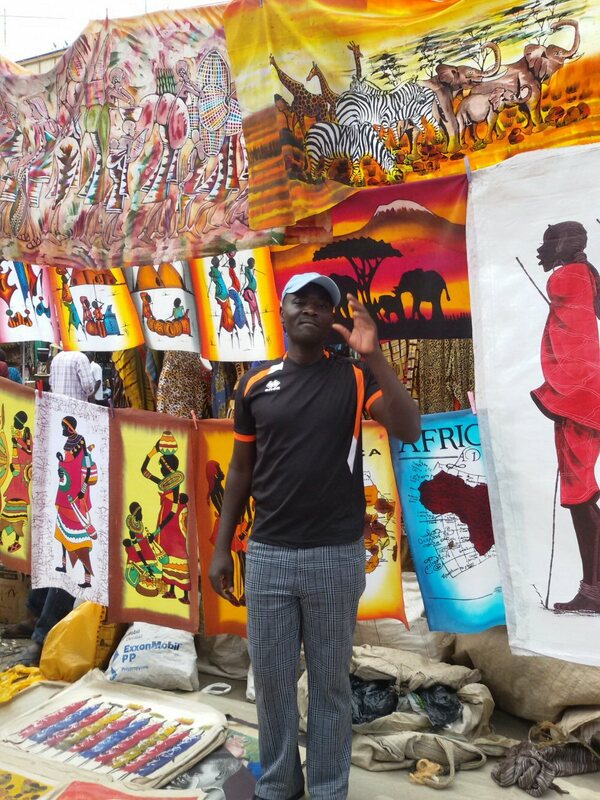 Lawrence Wanga Oniameo is a dedicated artist. When he completed Standard Eight, and wanted to go on to high school, there was not enough money in his family for school fees. He was from a family of 16 children. His father was from the old culture and had three wives. His mother was the second wife. When he discovered he could not go to high school, he looked at his interest in art and looked for any handwork he could do. He found an artist friend and assisted him for free when he was 15 years old. He worked for this friend for three years then went out on his own in 1998. He sells his art in Maasai market and displays his work in art galleries. The major problem he incurs is marketing his work. There are many copies which give him trouble selling his originals. In 2015, we met with Wanga at the market. He had expanded into other fabric art. 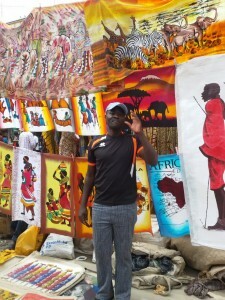 Though he still produces original hand painted batiks, he has added more to his collection. 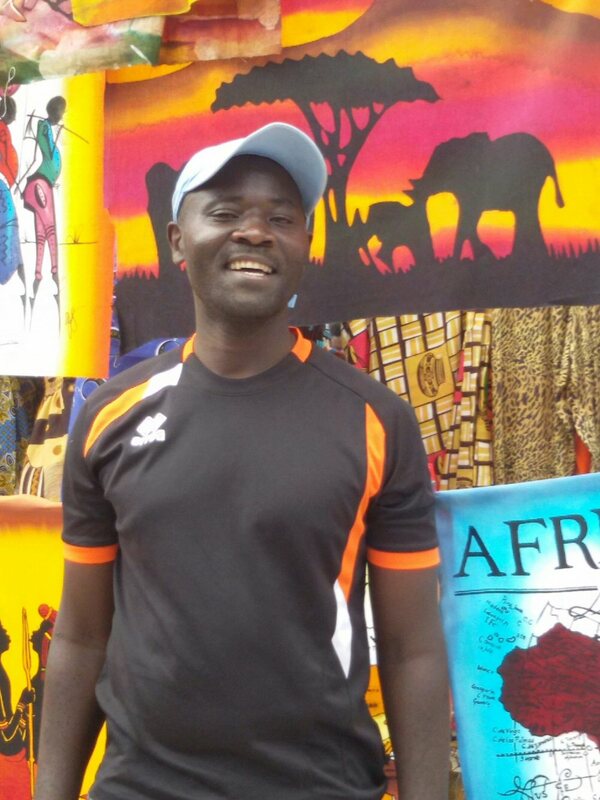 Wanga not only sells his work to Aina Moja but he also donates some for fundraising for our children’s home! A truly special man.